Universal Yums is a snack subscription that sends different snack from all around the world each month. 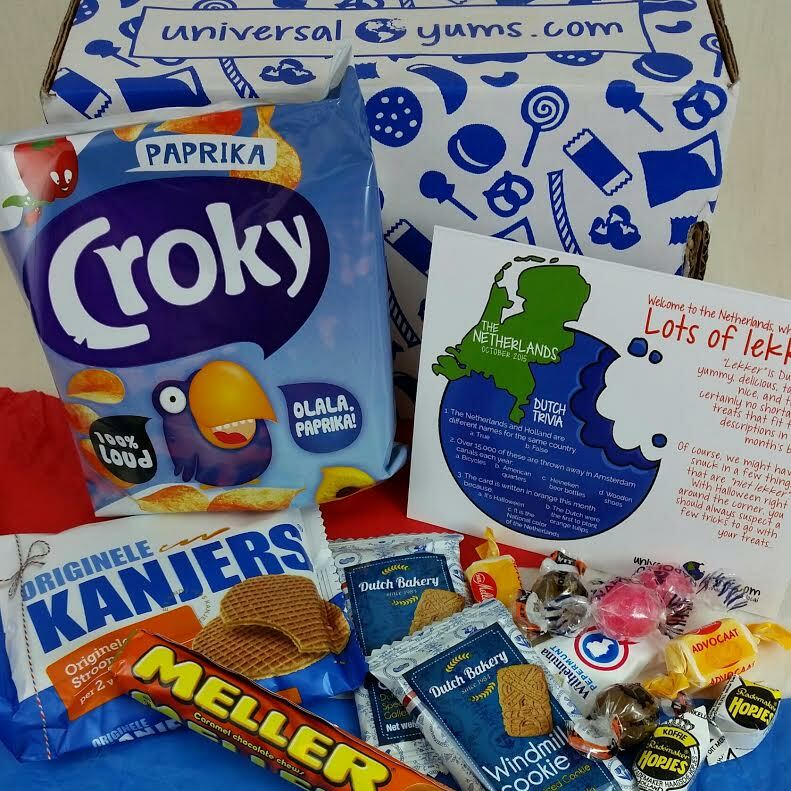 Every box focuses on a specific country and this month it's the Netherlands! 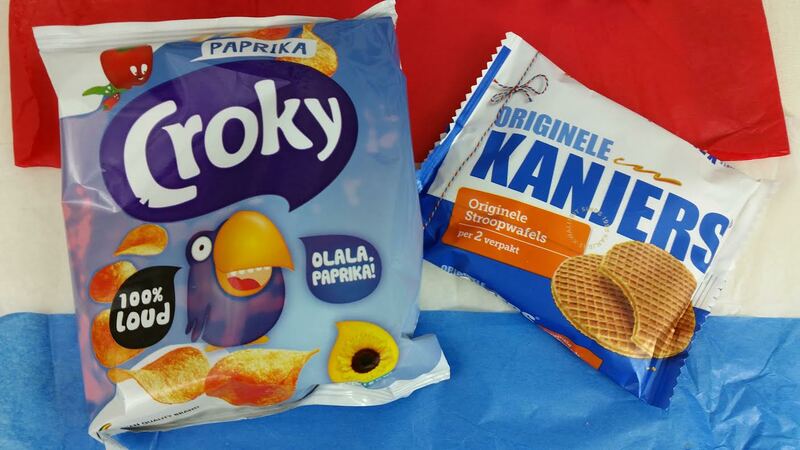 Of course I was expecting Stroopwafels and sure enough... They're in the box! 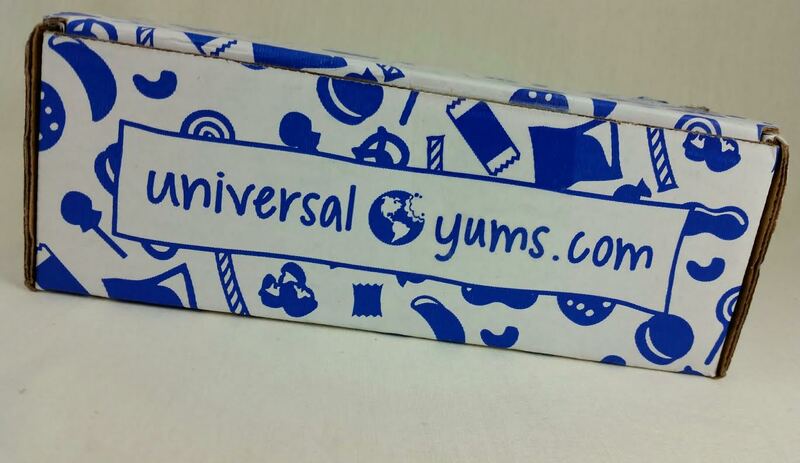 There are two sizes of Universal Yums boxes. This review is for the smaller "Yum" box which has five or more snacks but there is also the "Yum Yum" box which has 12 or more snacks. The price point for the Yum box is nice but I think the bigger box is more fun. The Cost: $13/month for the Yum Box, $25/month for the Yum Yum Box. What You Get: The deluxe Yum Yum box contains 13 or more snacks and the regular Yum box contains 6 or more snacks. Each box will have a mix of salty, sweet, spicy and more to suit every taste and tastebud. Croky Paprika Chips- Paprika seems to be a super popular chip flavor in Europe. I don't really like it but the taste does sort of grow on you. They're like BBQ but not. Kanjers Stroopwafel- I hate to admit it but these are already gone. I ate both of them with my tea. These are sweet, super thin waffles with honey or cinnamon syrup in the middle. SO good. Dutch Bakery Windmill Cookies- These are made with cinnamon, nutmeg cloves and cardamom. YUM! These cookies are apparently eaten on December 5th for St. Nick's day. Van Melle Advocaat Chews- Ew! Yuck, no, scrape out my mouth! What have I done?! I hate eggnog. And it tastes like alcohol weirdly. Okay, it's a chewy candy made from sugar, eggs, vanilla, cream and brandy. Blech. It's terrible. Napolean Raspberry Wineballs- Sour raspberry candies with a fizzy center. These actually have a really great raspberry flavor. They're not super sour but they are tasty. Napolean Black and White Licorice Balls- These are terrible. They are SO salty. I was hoping they'd taste like licorice. No. They taste like salt. And then apparently the middle is full of salt, too. Yucky! 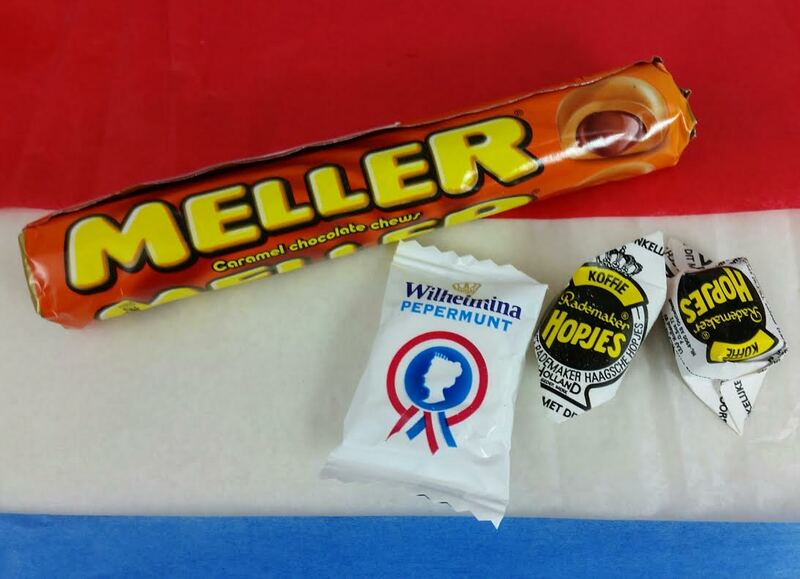 Meller Caramels- This is a super chewy, buttery caramel filled with milk chocolate. I feel like I should save these for my mom because they would make her so happy. On the other hand, if I eat them, I'll like them, too. But then I'll eat the whole roll and I don't want to do that. Hm. Wilhelmina Pepermunts- One sad little peppermint. These are named after (and have an image of) the Dutch princess Wilhelmina. Rademaker Coffee Hopjes- This is a coffee caramel flavored hard candy and it's pretty tasty. It definitely tastes better than coffee does. They're named after Hendrik Hop who was banned from coffee by his doctor. He then asked a confectioner to make him something that tasted like coffee so he could get it anyway while adhering to his doctors advice. 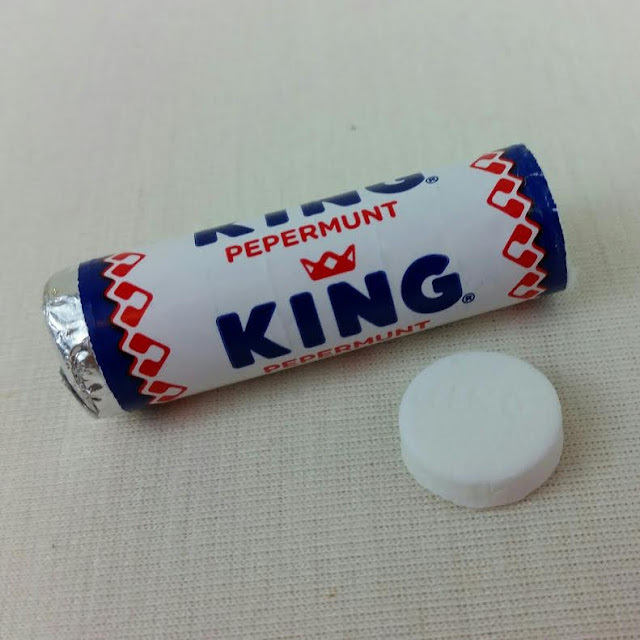 King Pepermunts- These fell on the floor when I opened the box and I didn't see them till after taking pictures. Whoops. They get their own feature. These have been made in Netherlands for 100 years! They're the same consistency as Altoids but not nearly so eyewatering. VERDICT: This box seemed a little light to me. 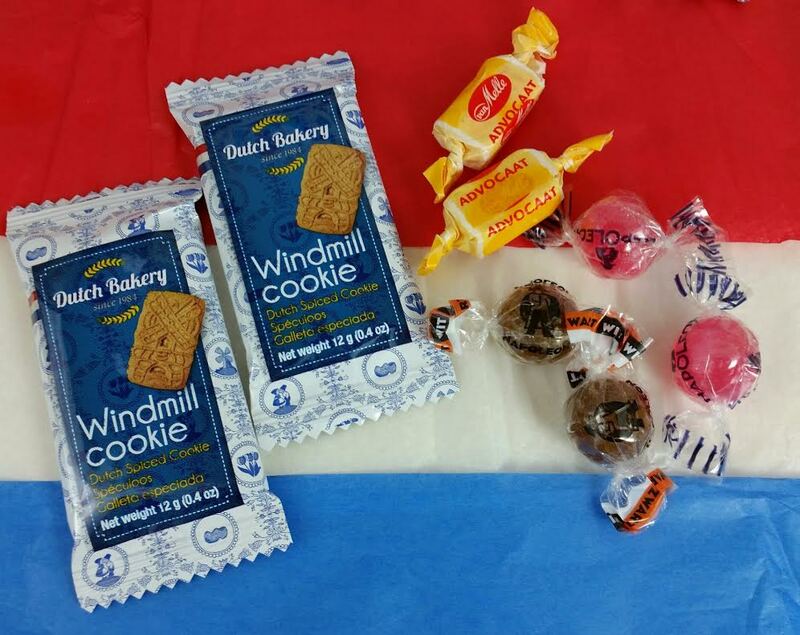 I do love that Universal Yums focuses on a different country every month. It makes it more fun. But they definitely do tend to put in several little candies instead of packages. In that respect, I think it's better to get the Yum Yum box. Of course, I did get ten different treats in this box and five of them were good sized, just like the information page states. So while it seemed light, I guess it really wasn't. I also really love the included information card with its fun facts about the featured country and the little anecdotes about each snack. It makes it fun! Next month's snacks will be from Korea! If you'd like to sign up for Universal Yums, you can do that here. They also ship to Canada. Nina Garcia Quarterly Co. #NGQ06 Spoilers! Get the October 2015 BeautyFix for Only $5!!! GlobeIn Has the CUTEST Spoiler for November 2015! Coastal Scents Revealed 3 Palette Giveaway!! Treatsie Deal on Rue La La!